Hiring team drivers, solos and trainers at Werner Enterprises! 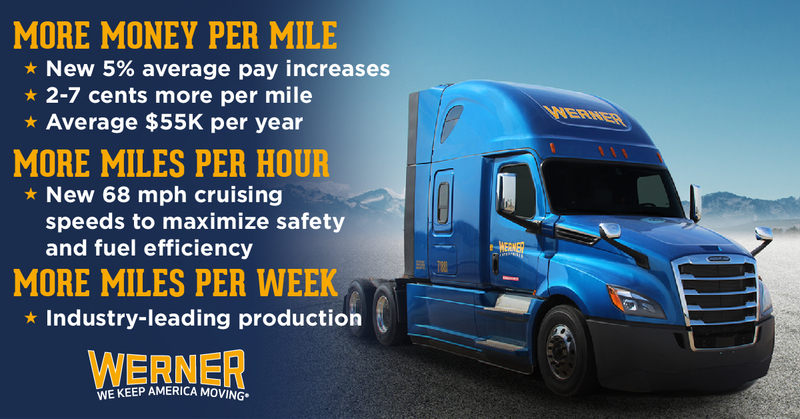 Werner recently invested over $30 million in driver pay increases! Truck Lease Program starting at $650 per week! Lease a brand-new Freightliner, Kenworth or Navistar! FREE Drive Werner App for real time updates, pay details, load alerts, trip scanning and more!